In my neck of the woods, winter is a cold event. Between the wind, the cold and the occasional snow, it can be really hard to motivate yourself to go out if you have work or errands to run. One of the best ways I have found to give myself the will to leave my house is to have a little bribe waiting for me back at home. This is usually in the form of food. Rich, hearty stews with a hot and fresh loaf of bread usually does the trick. But there are some nights when I’m on point with the stew, but am out and about freezing my buns off and do not have time to make fresh bread or have a loaf stashed in my freezer. Do I dare go back out into the cold for bakery bread? No! When I need a bread substitute, I call on these simple, fast and versatile Drop Biscuits. They are done in about 30 minutes from start to finish, have a wonderful crumble and taste and can be customized for whatever mood you are in. (they taste awesome with a 1/4 cup of shredded cheddar cheese thrown in the batter or a pinch of garlic powder). 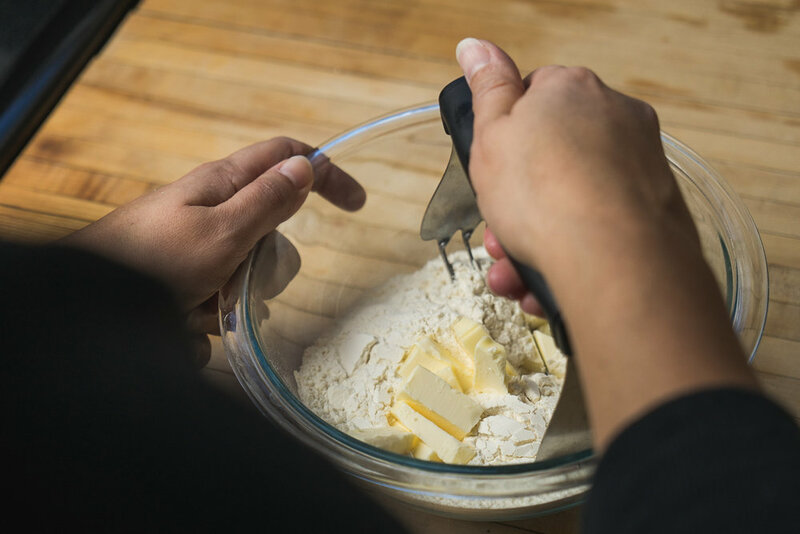 Using a spoon, drop one large spoonful of batter onto the baking sheet, doing this until all batter is used. Serve immediately with butter with your favorite meal. This is one of the most versatile recipes I have in my pocket. If you follow my site (and you should!!) you have seen this mixture pop up in my Drop Biscuit Egg Bake and in my Sausage Drop Bites with just the amount of butter being the difference. I have found this mixture can be substituted in many recipes where you would use a boxed baking mix (such as Jiffy or Bisquick) although you may want to stick to my Puffiest Pancakes recipe or specific pancake mix for those! Like most bread, these biscuits do freeze quite well and can be popped out of the freezer and reheated in the oven when you need a biscuit/carb fix but have no time!